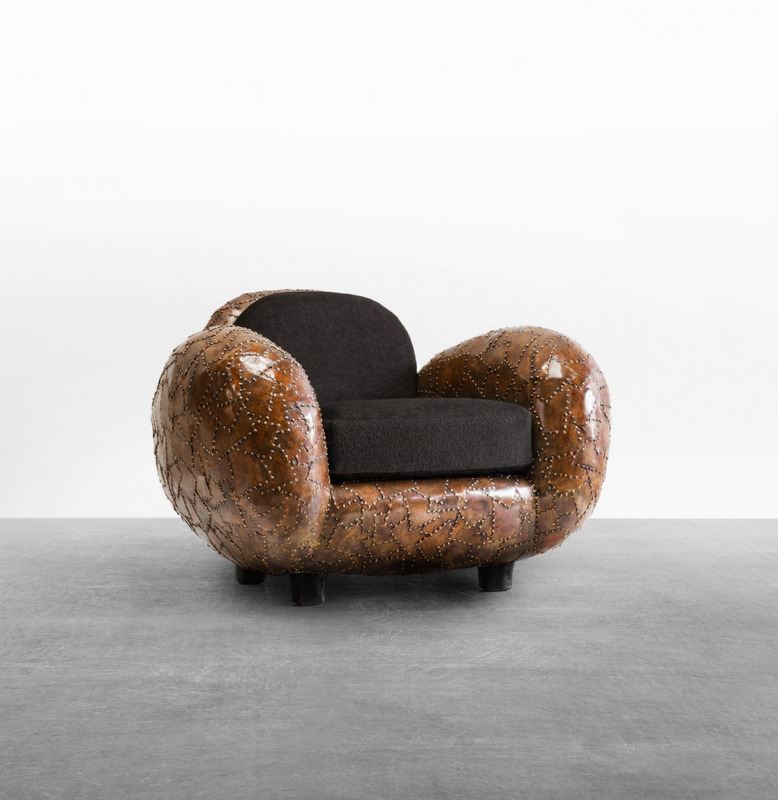 Whether it's an armchair charred by a blowtorch or something that looks like it belongs in Pee Wee's playhouse, I can spot the work of Dutch designer Maarten Baas from a mile away. His strange organic forms and material experimentations demand an emotional response and can be off-putting and intriguing. 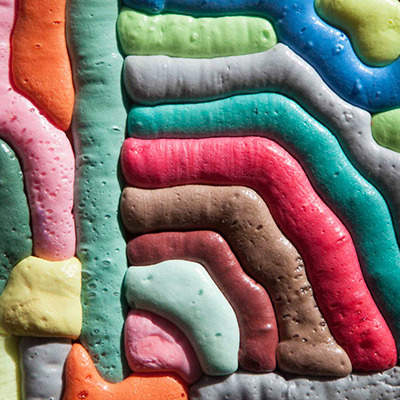 His latest series, Carapace, is no exception. 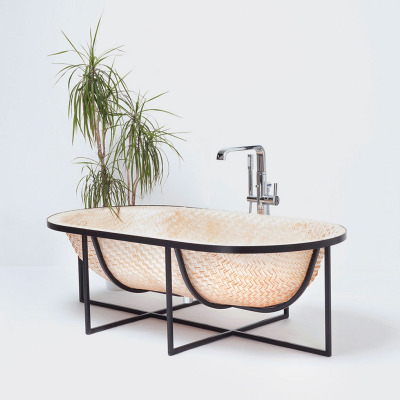 A collection of bulbous, tack-welded metal furniture, it takes inspiration from the hard, protective and often decorative shells found on the backs of beetles and turtles. "The series all refers to a turtle shell, or the shell of a beetle," Baas says. 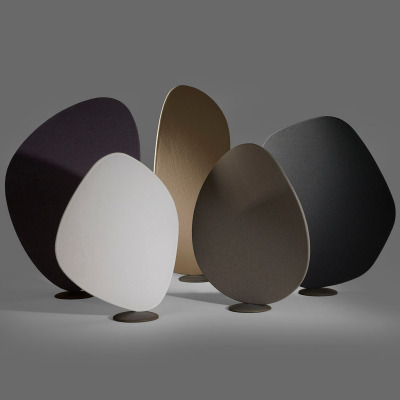 "Such a shell is all about hardness—the harder the better—while seating is all about softness. It's nice how those two worlds meet in the chair." While dichotomies and exoskeletons played a large role in defining the collection—the word 'carapace' itself is a scientific term for the dorsal or upper section of a turtle, crustacean or arachnid exoskeleton—the true spark for the project began somewhat unexpectedly around two and a half years ago with a mid-century refrigerator door. That curvaceous door led Baas to search for curved, organic forms in nature eventually arriving at the hard, exterior shells of these creatures. 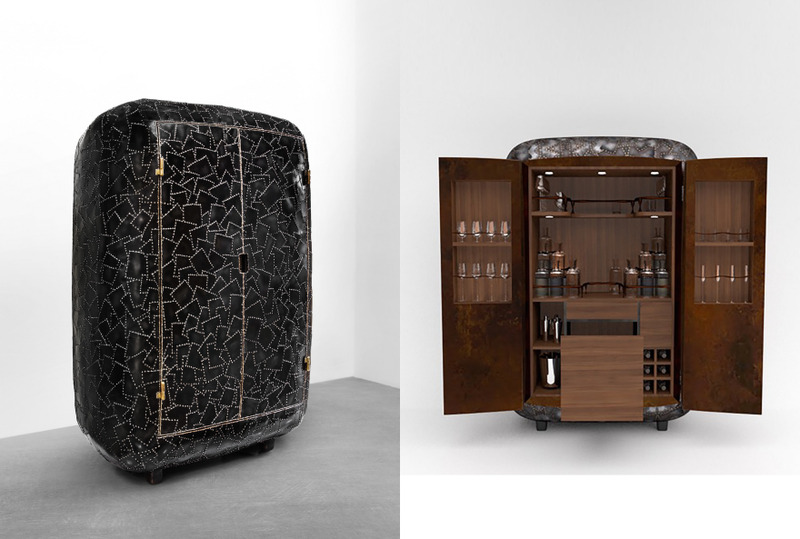 The final Carapace collection includes bronze and steel armchairs, a cupboard, small cabinet, a wide cabinet and a desk, each made up of a complex patchwork of bronze plating. Each surface is made up of several small patches of metal, dot-welded, piece-by-piece — a process Baas took from an earlier project. "Years ago, my production partner Bas den Herder and I developed this kind of patchwork," the designer explained. "That was made of car parts, so it had the color of the cars we used: red, green and blue. Now we have taken it a step further by making it in bronze and steel plates, and using some patina to finish it off." Baas began by making several bronze samples of varying finishes, hand-bending each sample to build out larger forms and structures. "From there, we started building this shield-shape kind of surface," he says. "It was a big exercise in real craftsmanship." The process for creating each piece is arduous, as tack-welders must meticulously dot-weld small sheets of metal together over a form to create each piece. The high amount of labor required might account for why each piece of furniture is produced in limited editions, ranging from 8 to 20 counts. "There's not a specific secret, rather than the fact that it takes a long time to make them," Baas says of the pieces. 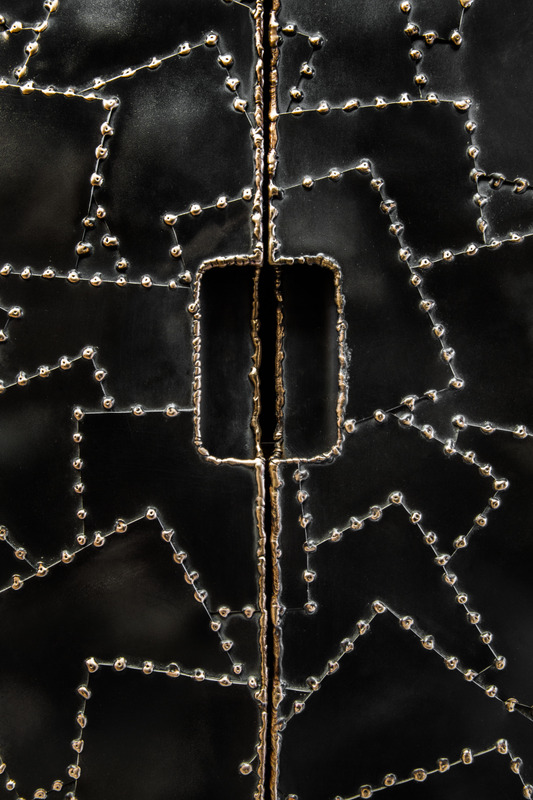 "By dot-welding, the little dots become a kind of decoration, whereas the technique is only meant to be functional. The fact that it takes so long is part of the beauty. You're looking at time that's been invested to make the piece. Even the details are done like that. 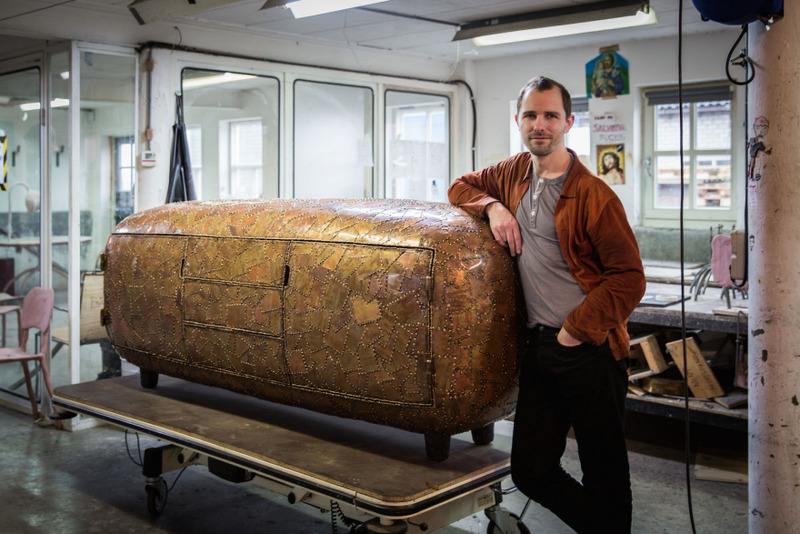 It's either casted bronze, or otherwise made by hand." 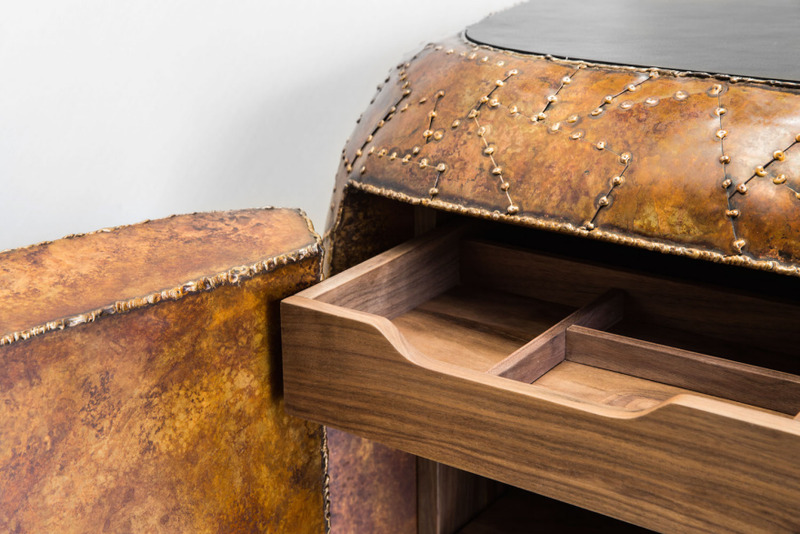 Other details include a secret drawer inside the desk, concealed from anyone who doesn't know its location. "It took quite some engineering to make the drawers work lightly although they're very heavy," Baas says. "[The secret drawer] only can be opened by a hidden button. It's a detail that nobody is supposed to see, but it took two weeks of engineering to develop it. I think generally the real quality of the pieces is experienced when people see those details." Baas credits Carpenters Workshop Gallery for pushing him along to finish Carapace. "It was very much Carpenters Workshop Gallery who motivated me to take it to the max and get the best out of it," Baas says. "I think it's very nice to have the opportunity to make these kinds of pieces. I didn't need to make any concession, I could go on and on to make them better and better. 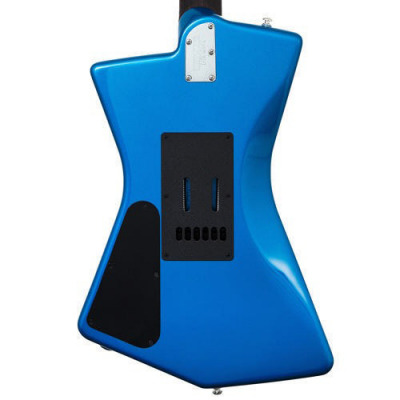 It's a modern way of using craftsmanship."